Everything you need to know about the Xbox One S All-Digital Edition, including pre-order options and release date. Announced during today’s Inside Xbox stream, the Xbox One S All-Digital Edition is coming to stores soon. Want to know the Xbox One S All-Digital Edition's release date and pre-order options? We’ve got the answers you need. Microsoft made rumors a reality today by unveiling the upcoming Xbox One S All Digital Edition. Set to release on May 7, the new digital-only Xbox One S will be available in a variety of places. If you’re looking to pick one up, then you can do so by purchasing it directly at your local Microsoft Store, online at Amazon, or even from select retailers like Walmart and Best Buy. The Xbox One S All-Digital Edition will launch for $249.99, just $50 less than the regular Xbox One S. The discless version of Microsoft’s console will launch with three digital games bundled in, including Minecraft, Sea of Thieves, and Forza Horizon 3. On top of that, players will also receive a special offer for Xbox Game Pass, Microsoft’s monthly game service, which will give players access to over 100 digital games for one low monthly price. The Xbox One S All-Digital Edition will launch with three games and 1TB of hard drive space. 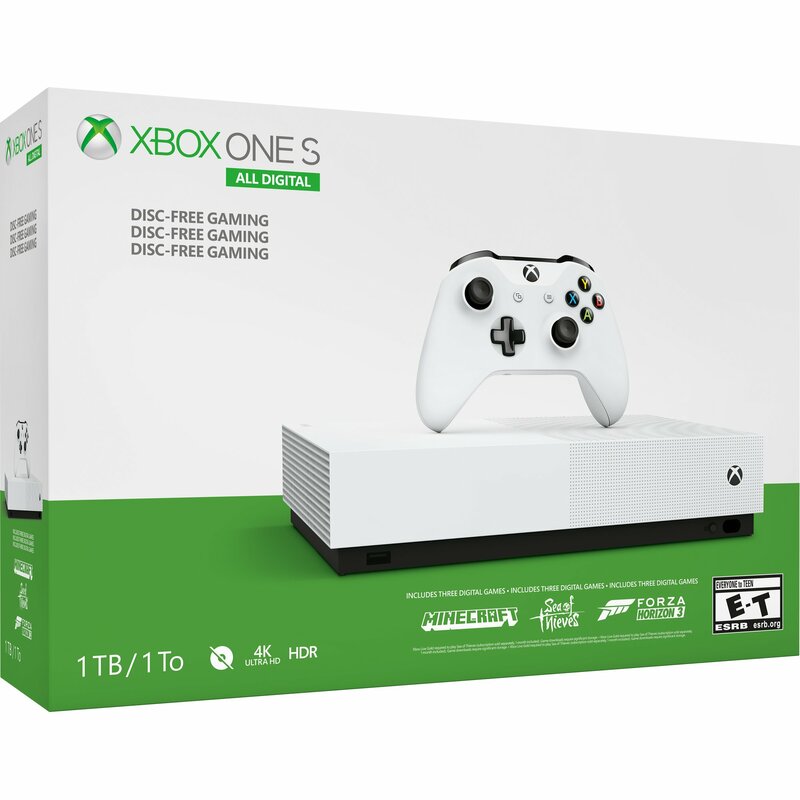 If you’re looking to preorder the Xbox One S All-Digital Edition, then you can do so by visiting your local Microsoft Store or heading online to Walmart, Best Buy, or Amazon.com. It’s now been two years since the Xbox One S was first released, cutting the current generation of gaming consoles down the middle. As we head deeper into 2019, and with talk of the PlayStation 5 becoming more and more prevalent, it really makes us wonder just how much an all-digital version of Microsoft’s console was really needed. Only time will tell. 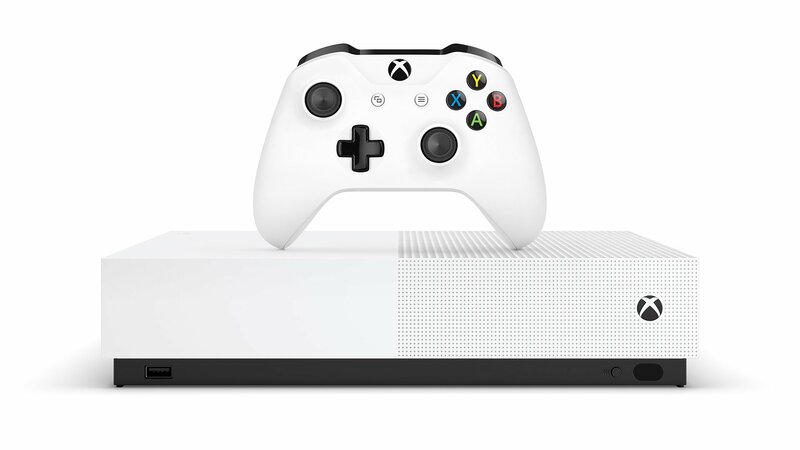 But, whether you’re all for a digital-only console, or if you prefer the tried-and-true method of using physical discs, the Xbox One S All-Digital is now available for pre-order and will release worldwide on May 7, 2019. I lol'd really hard. wasn't sure if they were serious about how "hard" it was to removed the CD-ROM drive.